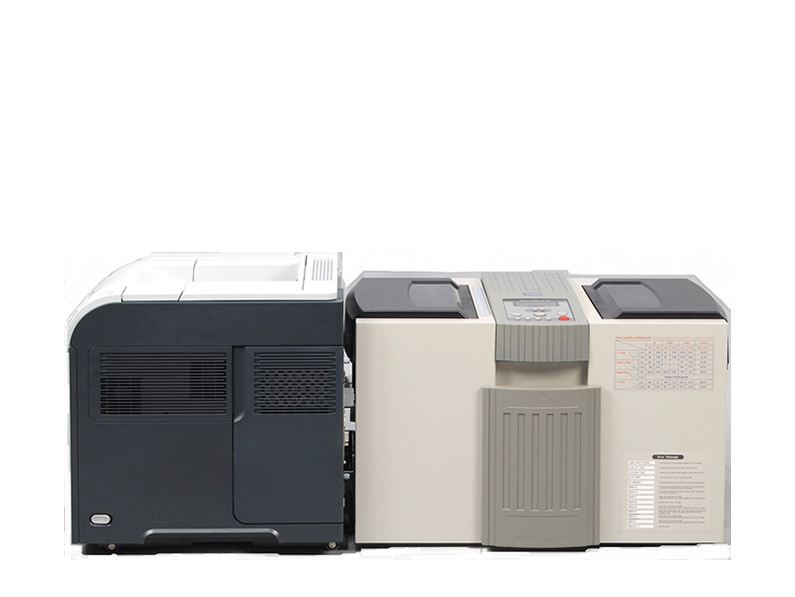 The IM8100 is an in-line pressure seal machine which connects directly to the back of many HP and other brand high speed laser printers for automatic processing. It allows you to print ‘n mail in one easy step. Now you can eliminate the tedious process of manually collecting forms from your printer and placing them in the folder sealer machine feed tray. 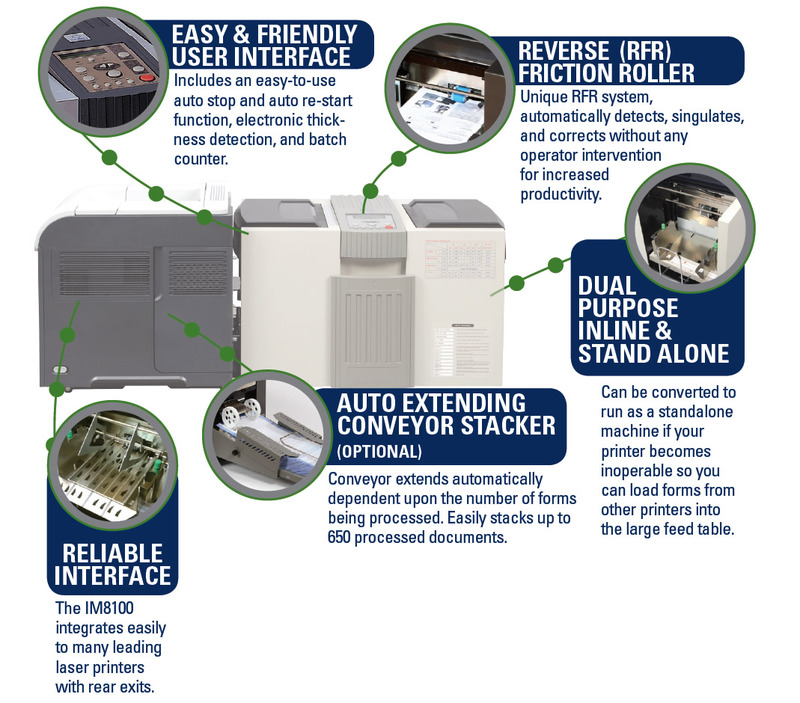 The IM8100 processes up to 7,000 forms per hour with a monthly duty volume of 125,000 pieces. This cost effective pressure sealer is also a dual mode machine which can operate as a traditional standalone pressure sealer when needed. PAPER WEIGHTS 16 - 30 Lb.